The AE Ski Club prides itself on keeping snow sports, including skiing, affordable. A nonprofit organization, the club encourages opportunities for social, educational, and recreational opportunities dedicated to snow skiing. Originally called the Aetna Ski Club (because membership was only open to Aetna employees and their guests), AE Ski Club was founded in the mid 1970's and now has more than 3,000 members. While headquartered in Connecticut, the club has members throughout Massachusetts, New York and beyond. Members of the club come from many different age groups, and there are single members as well as couples and families who hold yearly memberships for the club. Buy boot heaters and dryers from Sports Innovations at deeply discounted prices, up to 60 percent off retail. Obtain great trip insurance quotes, reducing worry over gear and personal belongings. As a member of the ski club, you have the opportunity to participate in their recreational ski racing team during the months of December, January, and February. The team practices Monday nights at 7:30 p.m. on an electronically timed, dual-modified, giant slalom course monitored by NASTAR. Ski Magazine developed NASTAR (NAtional STAndard Race) racing in 1968; today it is the largest recreational ski and snowboard race program in the world. Their mission is to provide a fun and accessible racing program that offers racers of all levels an opportunity to compare their results with those of other competitors across the country. 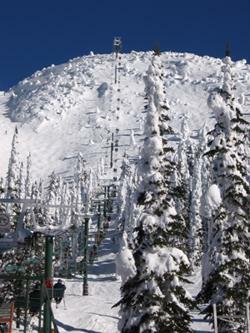 No doubt, you have seen NASTAR courses at one of the ski resorts you have visited lately. If you are interested in challenging yourself and improving your racing skills, it is a fun and simple way to add a little friendly competition to your skiing. Ski clubs are an excellent way to become involved with others who have a similar love for snow sports. Clubs also provide fantastic benefits for members; the discounts are unbeatable, giving you an incentive to travel to a new place, learn more about your sport, and even get into recreational racing! Who knows, you might become the next Lindsey Vonn.